Dbanj is set to "Entertain You" with great music from Local and International acts on December 27,2012 by 7pm at Eko Atlantic City, Off Ahmadu Bello Way, Victoria island, Lagos. 2Face Idibia, Wizkid, Inyanya , Naeto-C, Davido, Ice Prince, Seyi Shey , Burna Boy , Dammy Crane , Kayswitch, Ajebutter 22, Special ED, Omo Akin, Orezi. 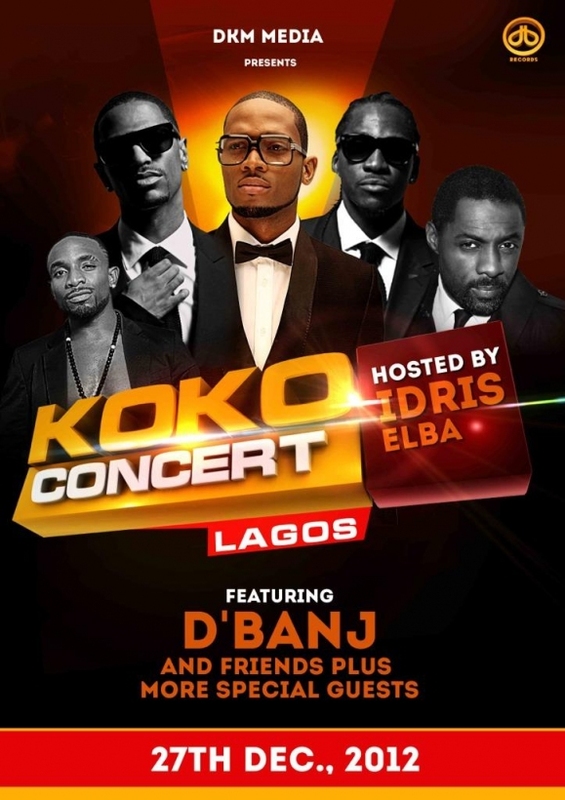 You do not want to miss @iamdbanj and @idriselba at #kokoconcert ! !